Hello Everyone! Did you miss me ?! I’ve been on “vacation” since last week and boy did I miss crafting! I had a fantastic time on my trip but it’s nice to get back into the swing of things. Then to top it off school is starting! Thanks for hanging in there with me and stay tuned – I’ll have videos coming soon! 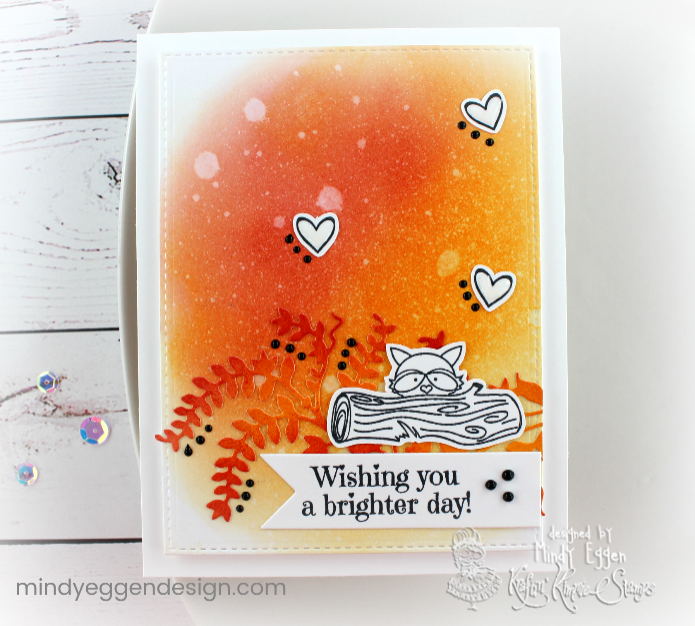 Anywho – it’s Wonderful Wednesday over at Kraftin Kimmie Stamps! Be sure to check out the blog for more details on how to join in the challenges – it’s always a fun time! I’ve seen this type of card floating around and I wanted to give it a try. I will admit, it was really hard for me not to color the image but it turns out really cool! I ink blended the background with distress inks onto Bristol smooth cardstock and spritzed it with water. Then I die cut it to give it that stitched frame border. 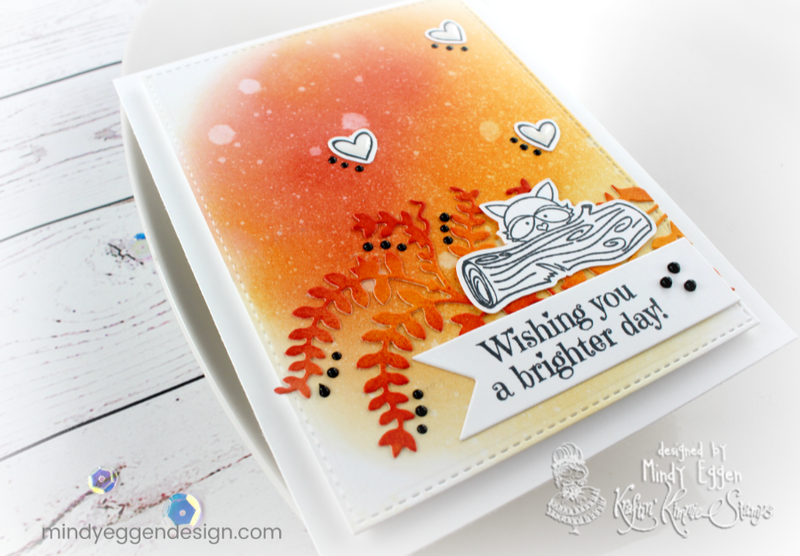 The die cut – I’m sorry – I cannot find a link for it or the packaging of what it’s called but what I did is blended the same colors I used on the background on another sheet of cardstock. Then I die cut the leaves from it. I added the stitched frame piece to some craft foam with double sided tape and then attached to a 4 1/4″ x 5 1/2″ card base. I stamped the image from Woodland Critters and used my Scan n Cut to cut it out. The sentiment is from the Raindy Days Lulu stamp set and I added it to a flag banner. I hope you enjoyed today’s card -definitely something different and unique to try! Be sure to follow me on Instagram for sneak peeks and happy mail pictures! Witchy Poo – Krafty Komeback!